After tonight’s episode of Westworld, there are only two episodes until the end of the season. That would most likely explain why this eighth episode, “Trace Decay,” felt like it was more trying to move pieces into place for the final two episodes. That is not to say it was a bad episode, it just felt like a let down after the insanity of last week’s “Trompe L’Oeil.” That also is not to say that we got nothing this week. There were not many definite answers given, but more and more hints towards the true nature of Westworld (both the park and the show itself) surfaced this week. This week had to pick up with last week’s shocking conclusion: how was Bernard (Jeffrey Wright), who we now know to be a host, going to deal with Ford’s (Anthony Hopkins) order to kill Theresa (Sidse Babbett Knudson)? 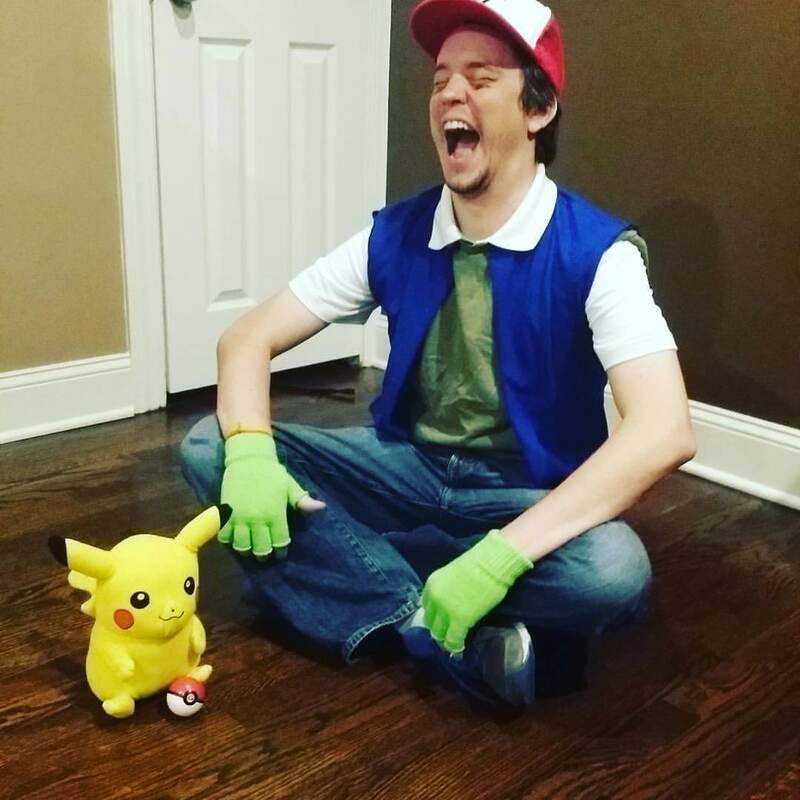 He responds with shock, confusion, and sadness, as one would expect. It isn’t long, however, before Ford retakes control of the host, uses him to remove all evidence of their involvement, and wipes Bernard’s emotional memories of Theresa. Ford again asserts his dominance over his creations, and before long Bernard is denying his feelings for Theresa even when confronted with them directly. The sequences with Bernard and Ford hinted at a few popular theories. The first is that Bernard is either some sort of host clone of the mysterious Arnold. 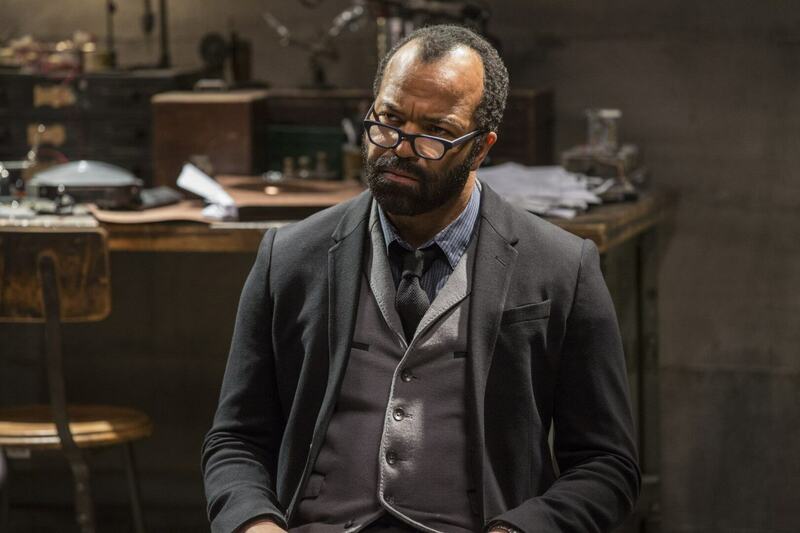 Ford’s assertions that he and Bernard created the world seem to indicate just this fact: Ford himself has mentioned on several occasions that he and Arnold built the park together, and he spoke to Bernard as a co-creator of Westworld with himself. The other question to bring up is just how many people Ford has had eliminated through his hosts. Bernard was also shown attacking Elsie (Shannon Woodward) for a brief moment. But he was on the phone with her at the time. Multiple copies of the same host? Or maybe Arnold is still alive in the park after all? Dolores (Evan Rachel Wood) also confirmed a popular theory this week: there are definitely multiple timelines at work. The whole theme of the episode, that everyone, be they host or guest, is trapped in a loop. Dolores clearly saw different stages of the town she and William (Jimmi Simpson) came across and has been a part of it in multiple ways. Once again, the idea of perspective comes back into play. 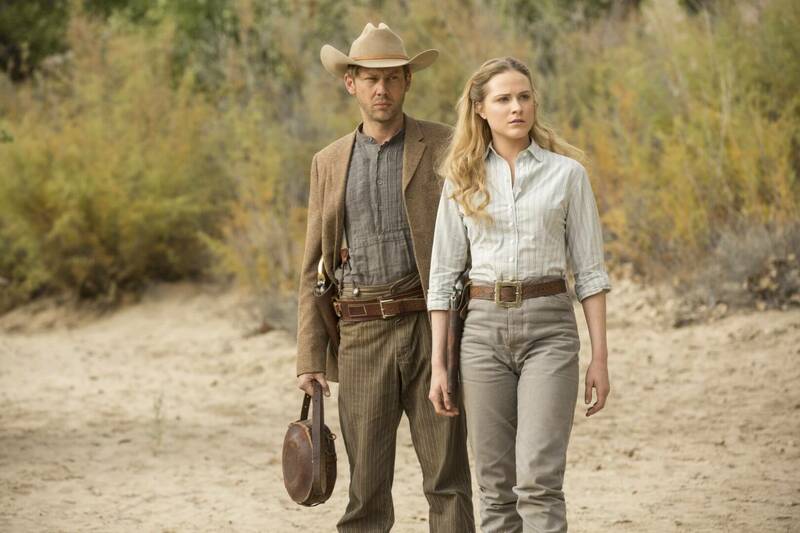 How much of Dolores’s viewpoint and storyline can we trust, as she has clearly been breaking down? Westworld has shown us that it is not afraid to mislead the audience by showing it what the host sees (just look at Bernard and the hidden door in Ford’s house). How much is what Dolores sees actually happening? And what is Logan (Ben Barnes) going to do now that he’s caught his friend? These two could be in a spot of bother next week. The Man in Black (Ed Harris) is also in big trouble, finally being found out by Teddy (James Marsden) and getting captured by Wyatt’s cult. 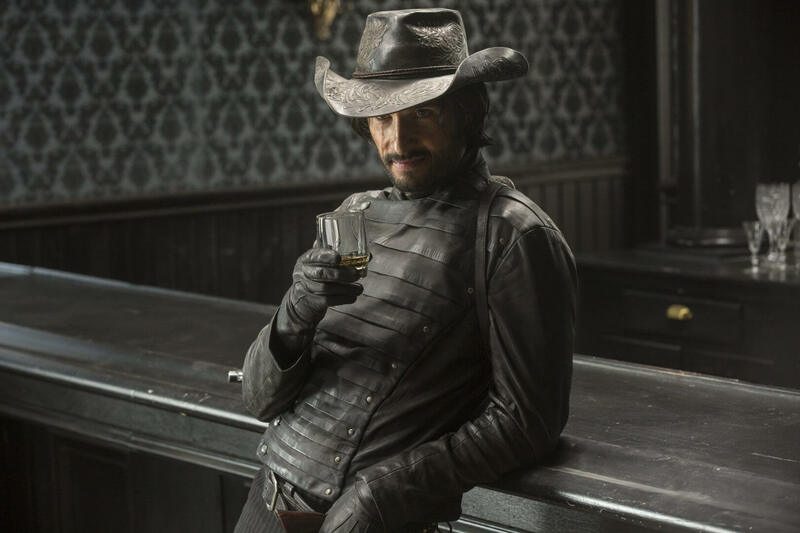 Hearing his backstory (but of course not his name) was heartbreaking, but also got me leaning towards another theory: the Man in Black is a host. His tragic backstory of a wife committing suicide and a daughter essentially blaming him for it, even though he is a good, philanthropic man, seemed a bit too similar to another familiar character’s: Bernard. It is just vague enough, just sad enough, and just final enough to push a man to never want to return to his outside life. His quest to find Arnold and the maze is also similar to a lot of different hosts, even if they aren’t truly sure that is what they are looking for. Is anyone shipping these two as much as I am? 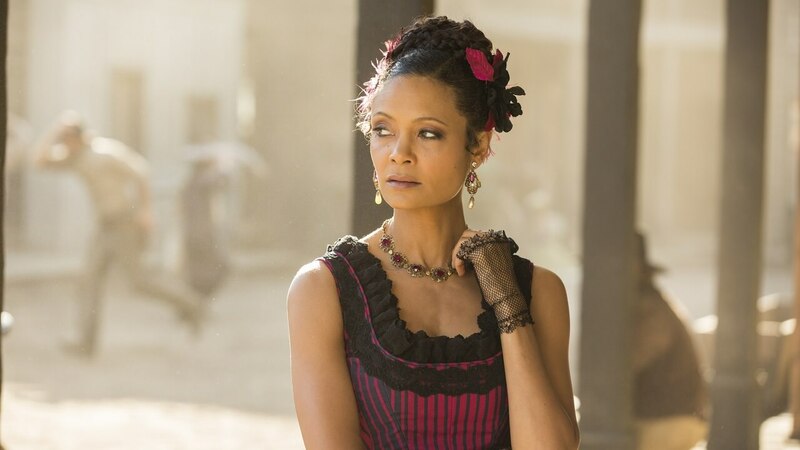 The Man in Black’s backstory also intersected with Maeve (Thandie Newton), showing just where her bizarre memory of running with her child comes from. Maeve continues to be one of the strongest and most intriguing characters on Westworld, and this week was no exception. Her quest for freedom seems more and more likely to be the “finishing” storyline of the final episodes as she attempts to build her army and escape the park once and for all. The idea that music was the only thing that could calm her and help her forget her child, and her new role finds her in a saloon with a player piano all day, seems to indicate that (once again) Ford knew more about the hosts and the world than he was willing to share with anyone. As Maeve becomes more and more powerful, even overriding her code to the point of harming someone, she paints an even larger target on herself. 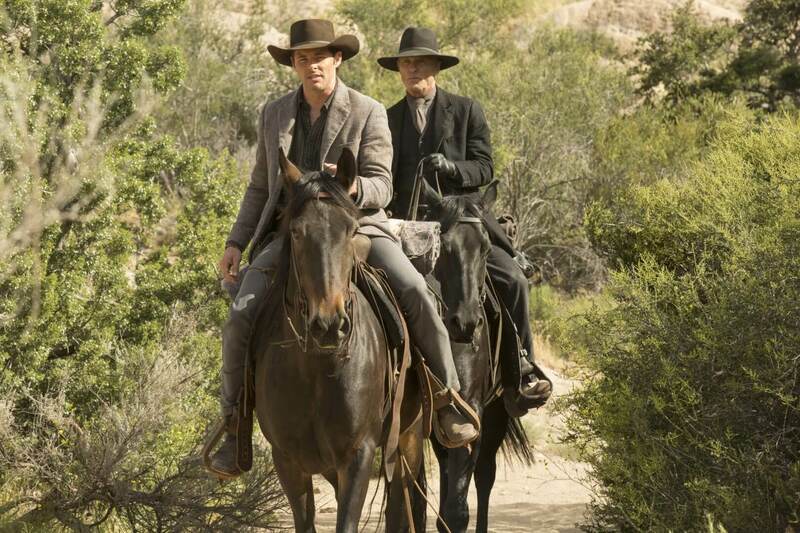 Will her goal to escape stick, or will she try to find some other way to strike back against Westworld? And can we please get some more Hector? Overall, “Trace Decay” did not quite have the impact of the strongest episodes of Westworld. That said, several hints at where the show is headed, as well as several moves to put pieces in play for an explosive end to the season, kept things interesting. Maeve continues to be the show’s most compelling character, but hosts like Bernard and Dolores, as well as guests like the Man in Black, keep delivering great lines and investing the audience in what is happening in this increasingly complicated world. The show's ability to raise questions: is everyone a host? And does that even matter? Toys R Us is Closing its Doors for Good…Or is it?